English is a language is that is filled with words that are hard to spell, particularly those that are confusing and unfamiliar. Even so, when you speak or say words, the words are supposed to have meaning. Gibberish, however, is talking that sounds like words or speech, but that really has no meaning at all. Gibberish can take the form of a single nonsensical word or a group of nonsensical words. Sentences that make no sense can also be gibberish as well. Here are some examples of nonsense sentences. They sound like sentences; but, because they have no meaning, they are considered gibberish. Cold is with the monkey's ears and toes. Cats, dogs, and babies, it's Tuesday! Travel trips taken away go home. Friends are baskets and hats. Wishes are hopping and trees are west. Brushing liked to tutu dark's direction. TV shows on radio are lazy. Food is sitting while the weather is flying. 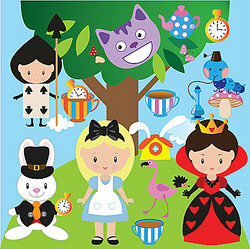 No wonder Alice in Wonderland is filled with such whimsy and outrageous possibility. In addition to nonsense words, phrases and sentences, there is also a language called Gibberish. The language is similar to Pig Latin and is used by people who want to play games with a secret language. By reviewing these examples of different types of gibberish, you will be able to speak a secret language or have fun making up your own nonsense words or phrases. "Examples of Gibberish." YourDictionary, n.d. Web. 18 April 2019. <https://examples.yourdictionary.com/examples-of-gibberish.html>.